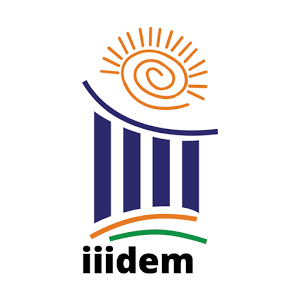 New Delhi: The India International Institute of Democracy and Election Management (IIIDEM) in partnership with International IDEA, a two-day International Consultative Workshop on ‘Leveraging Electoral Training Facilities for Global Democracies’took off on Monday. Members from the Election Management Bodies (EMBs) of Australia, Nepal, Bulgaria, Nigeria and Georgia, delegates from International Organizations such as Association of World Election Bodies, United Nations Development Programme and United Nations Electoral Assistance Division along with other Indian Directors from Administrative Training Institutes are participating in this two-day workshop. The programme commenced with Chief Election Commissioner of India, Achal Kumar Joti inaugurating the workshop. Joti explained that with each country having its own unique social, economic and political structure, adopting a ‘one-size-fits-all’ approach will prove redundant in working towards democratic governance and empowerment of persons. The necessity of innovation is not to be discarded as technology has transformed the way in which countries and its people are and the manner in which they think. Joti further said with elections being held every five years, the ECI deploys over 11 million election and security personnel. Such a large workforce is deployed to ensure that voters are able to cast their ballot as per their choice. Deputy Election Commissioner, Sudeep Jain, explained that in most countries elections are conducted by drafting a team of professionals from different sectors. Drafted for very short periods, these professionals still have to deliver an error free election. Given this context and also the uniqueness that election officials are required to possess, this workshop is an attempt to bring together election officers from across the world facing similar changes. The mandate is to brainstorm on electoral training challenges and explore possibilities for future collaboration. Additionally, the end of the workshop will see the passage of a New Delhi Declaration of Cooperation and Collaboration targeted towards strengthening the role and capacity building approaches of electoral training institutes. Erik Asplund, Senior Programme Officer of International IDEA, explained that Intl. IDEA has been working for the last few decades in supporting sustainable democracy. The ultimate vision is to serve as a global actor in democracy to enable sharing of best practices. The administration of elections is a complex operation which calls for staff being prioritized. This creates the need for capacity building which does not necessarily have to be technical. It is hoped this two-day workshop will assist in strategizing recent training phenomenon. The inaugural session of the workshop also saw the official book launch of ‘How the World Votes’– a compendium of voting processes used by 130 democracies complied by the IIIDEM. The two days of the workshop will see interactive presentations chaired by electoral experts such as former Chief Election Commissioners of India – Dr. Nasim Zaidi and Dr. S Y Quraishi among other senior workshop participants on: emerging challenges in electoral training for democracies, rationale for establishing and operating training facilities and its sustainability issues, electoral training for inclusion, an experience sharing on training of political parties, security personnel, observers, media and civil society organizations, use of technology in electoral training/ distance learning, among other topics.